These past days have been pretty hectic because i had this looming deadline to meet but Thank God I made it. Now, I have my life back for a little while and I am so happy I can blog. I have so many drafts and pictures of upcoming posts which will be rolled out each day this week to celebrate my short freedom. 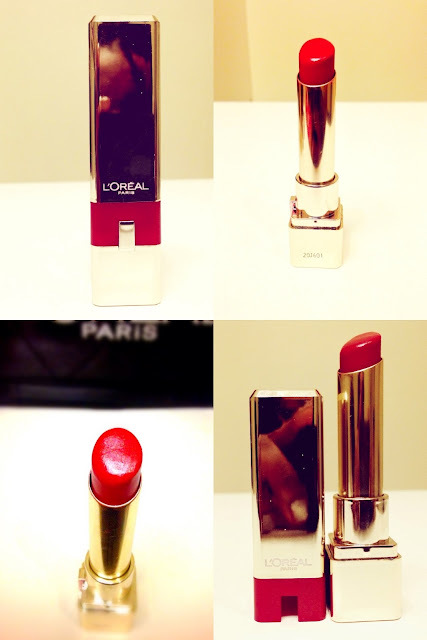 Today, I am having a mini review on some L'Oreal Paris products i received a little while back. I love getting freebies especially beauty products even if it is a tiny sample. It always provides a neat chance to try out products without spending any money so you can decide if it is worth spending money on. I actually won these lovely L'Oreal goodies. I have never ever won any thing in beauty competitions and to be honest, I don't even bother entering any competition. Anyways, this contest was sponsored by L'Oreal Paris and W Magazine and was tagged "Because you are worth it". Basically, you just needed to leave a comment voting for your favorite beauty Vlogger on Youtube which featured "ItsJudyTime" and "Kandee Johnson". Long story cut short, I voted for ItsJudyTime because I think she is amazing and I forgot it was a contest where 150 winners would be chosen to win a L'Oreal and W magazine cosmetic bag with some beauty products courtesy L'Oreal. You can imagine my shock and suspicion when I got an email saying I had won a prize and I needed to send my address and contact details. I thought I was being scammed because I couldn't remember entering any contest so I checked the email and the company website and Bam! I remembered. So, I emailed the lady(Bless her!!) asking for proof that it was not a scam(silly me) and she was so kind and patient with me(excellent customer service) and answered all my annoying questions. After which, I sent my contact details. I was very delighted to get new full size beauty products especially from L'Oreal. I received a really durable classy cosmetic/make up bag containing The Power Volume Collagen Mascara, Miniature Elnett Hair spray and Cherry Tulle Lipstick. This lipstick is amazing! I am not a big fan of the red lip because it is a bit tricky to pull off and i don't think I have mastered that art. With this lipstick, you have nothing to worry about. It is a sheer moisurising light red lip stick; I think it is a cross between a lip gloss and a lipstick. It has the sheerness of a lip gloss but the perfect pigmentation of a light lipstick. I think that's its winning formula. This combination makes it safe for everyone to wear without looking like you are trying too hard. I love the fact that it is moisturising on the lips with a smooth application. The packaging is excellent and the combination of gold and red makes it look more expensive than it really is. I have been rocking this lippie for a while now. The only down side is it does not last very long because it is quite sheer which is not too bad. Since I ditched my glasses and started with contact lenses, I have been a bit reserved when it comes to mascara. Some days,it's fine other days, it's quite problematic which is why I prefer lengthening mascaras as opposed to volumising mascaras. This L'Oreal mascara is a volumising mascara which is a no-no for me. I have tried it out on a few ocassions and it definitely adds a lot of volume to my lashes which bother my contacts. It has minimal clumping which is common with volumising mascaras so I guess that's a plus for it. However, I like the wand because i feel it distributes the product evenly which may be the reason why it has minimal clumping. The packaging is also beautiful; it's actually on trend with the monochrome theme(lol). 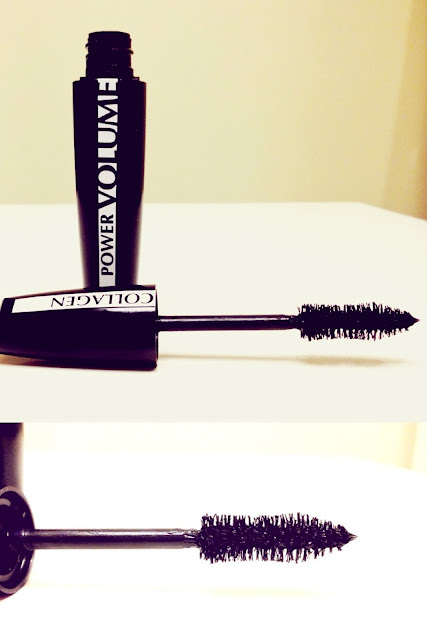 It is a lovely mascara if you love volume but it's not the mascara for me. Again, I have not used this product as much as the others. 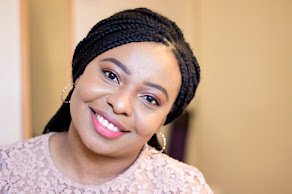 The main reason for this is I don't like using hair sprays directly on my own hair because it is natural plus I have had my hair in braids for a long long time especially in the past year. I used it mainly when I had a weave earlier this year. It is really good and does what it says which is giving your hair that extra hold. Although, it gives the hair extra hold, it is actually a light formula which disappears when you spray which is what it says on the packaging. I think the size is very handy for slipping into your handbag because this is a mini version which is excellent for me (Who wants to be lugging around a large hair spray in their bags?). I would not mind buying this hair spray if it actually came in this same mini size. I was really impressed by the quality of this bag and its component parts. 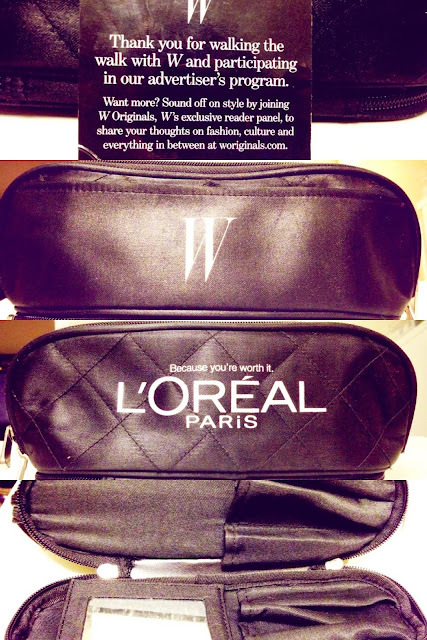 It is a rich black colour with W and L'Oreal signature embossed on both sides with very sturdy zips. It has quite a number of compartments which are really secure. It even has a secret zip underneath where you can store your make up brushes and there is a tiny mirror attached. This is the perfect make up/cosmetic pouch for travelling because you can be rest assured none of your make up will get damaged. I have travelled with this pouch on so many occasions. I feel it is slightly too big to fit into a normal handbag because i prefer smaller make up bags for my handbag but I know some ladies who have larger bags will not mind this for their handbags. Awwww what a lovely comment to read!! Thank you for always stopping by...I love your GFC profile pics and I love your blog and its content..Well done! !